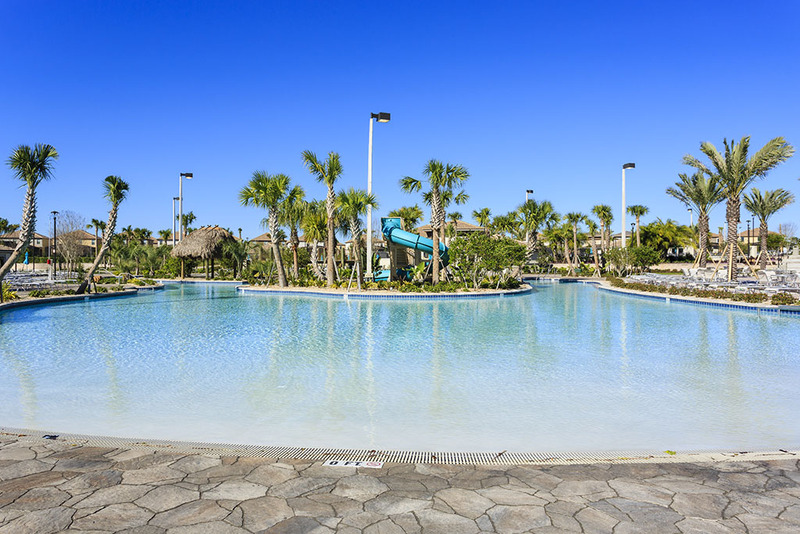 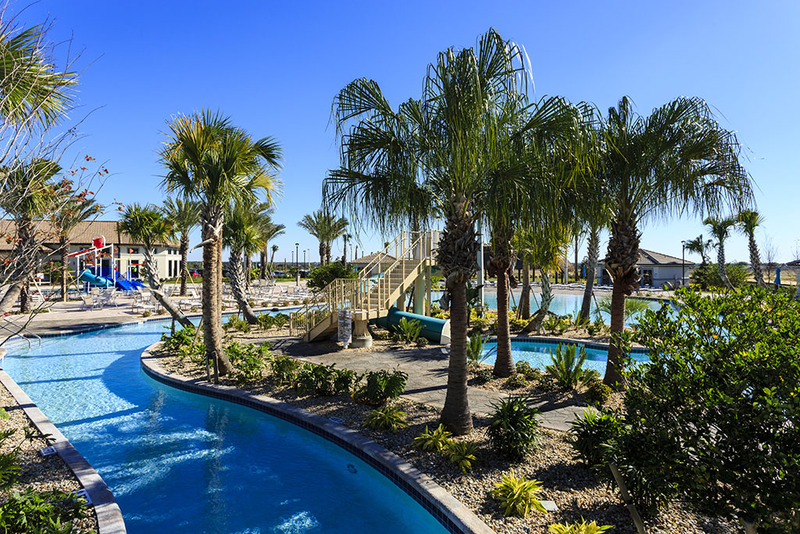 Heading to Orlando with a large group of family and friends? 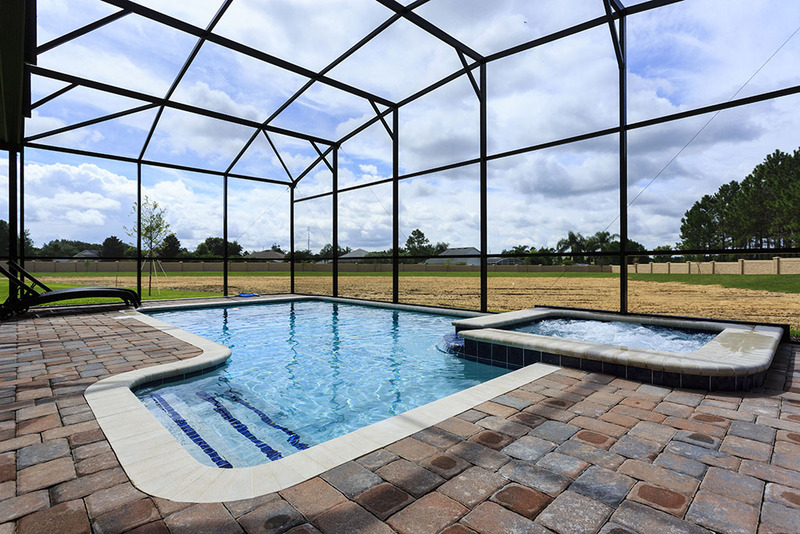 This spectacular 8 bedroom luxury pool home offers everything you need for a dream vacation near the Disney parks and local golf courses. 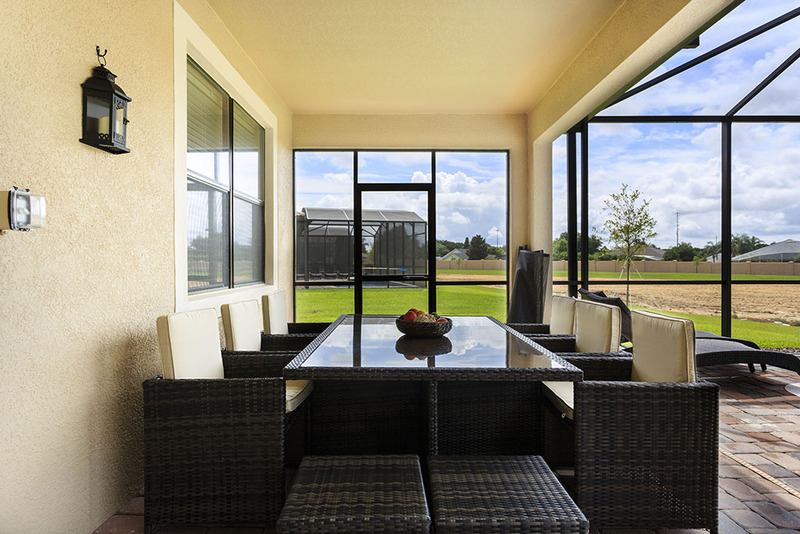 The amazing layout offers each and every one of your guests the perfect combination of luxury, space and comfort. 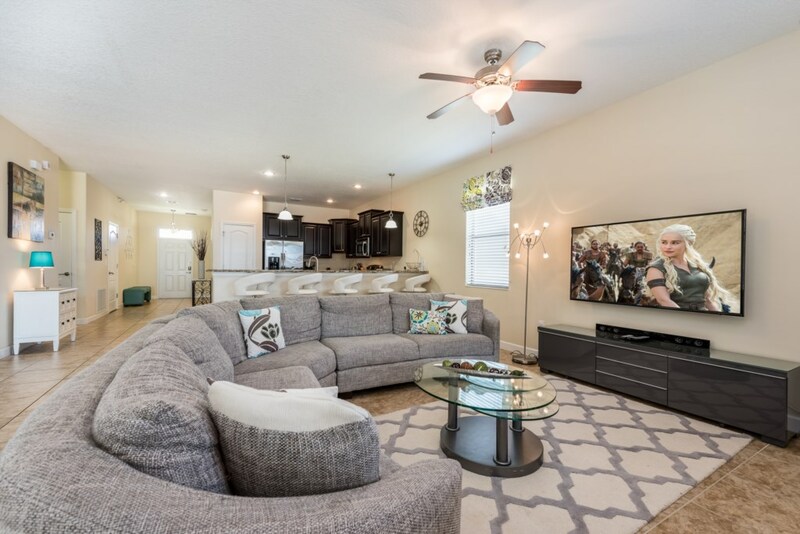 The home's spacious open living area, combines a stylish comfortable seating and TV area, a 16 seat formal dining area and a spacious kitchen with breakfast bar, with pool deck views through the glazed sliding doors. 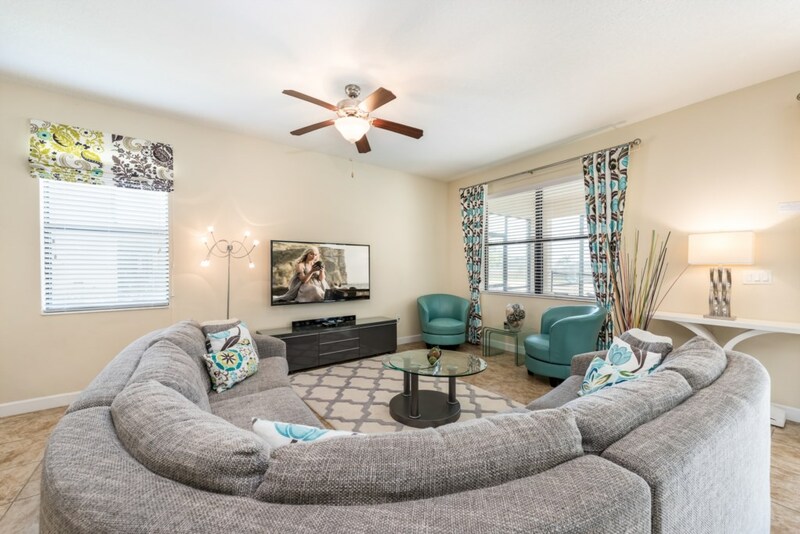 With warm, neutral tones and the professionally selected furnishings and fabrics, the owners have ensured that your guests can enjoy the bright, modern and luxurious ambiance throughout the entire home. 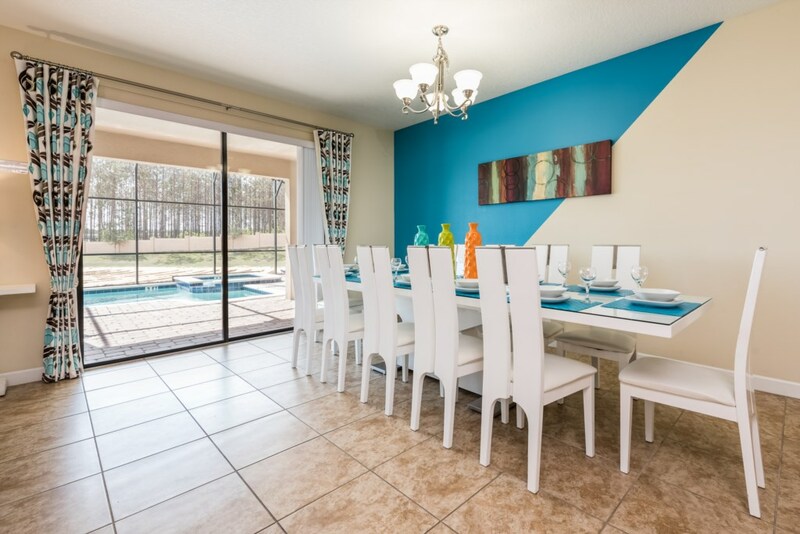 Outside, a covered lanai with comfortable seating and a 10 seat dining set plus sun loungers, offers a perfect place to enjoy some quality time with your family and fiends as the kids play in the gorgeous pool and spa. 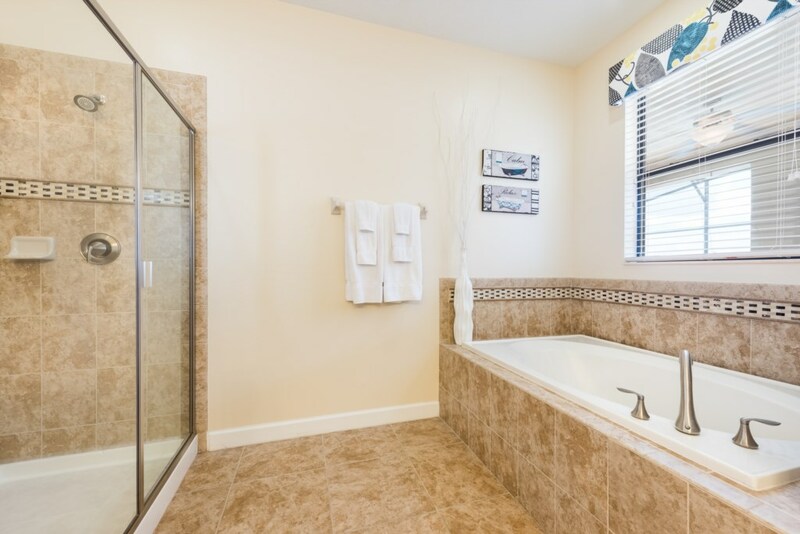 To the rear of the home, a large King Size Master Suite includes an en suite bathroom with tub, large shower and twin vanity units. 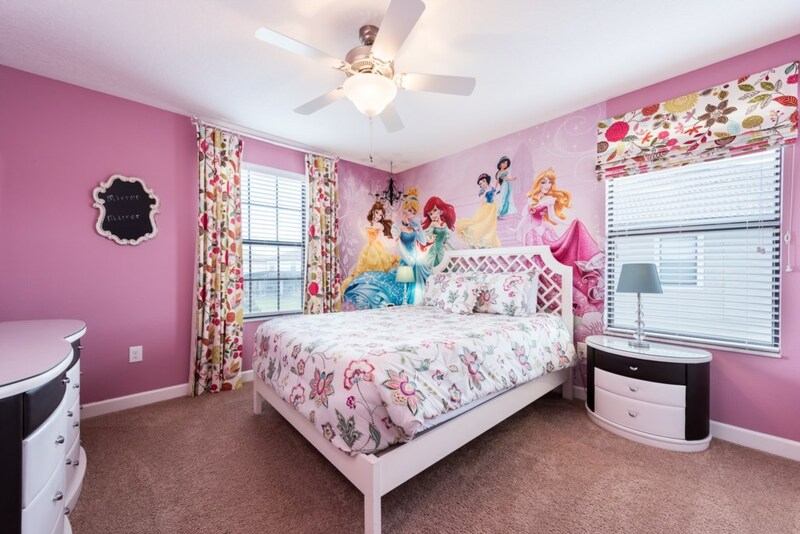 Perfect for lead guests. 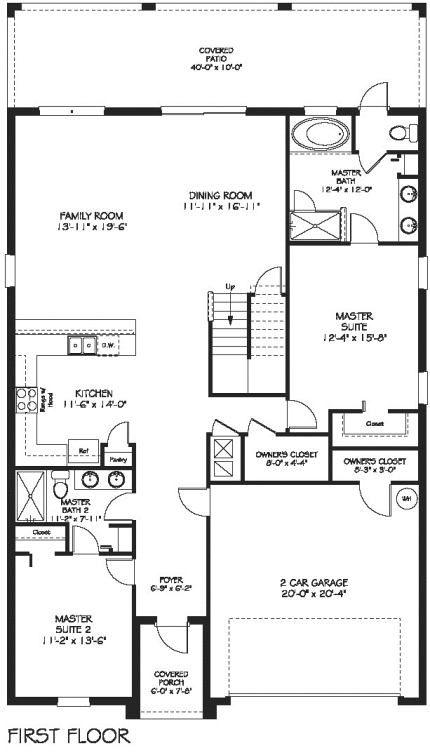 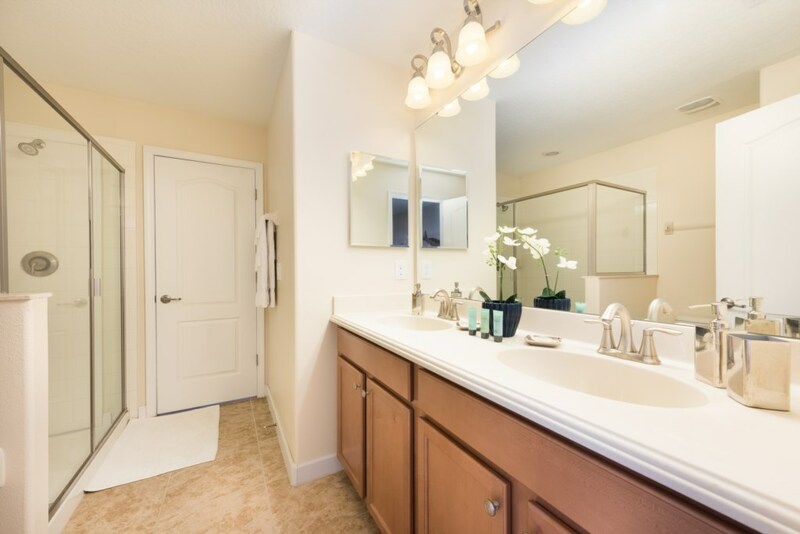 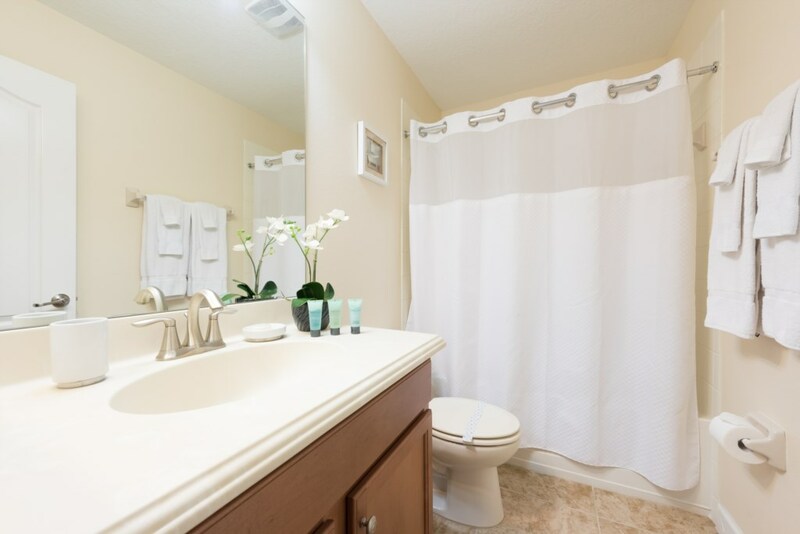 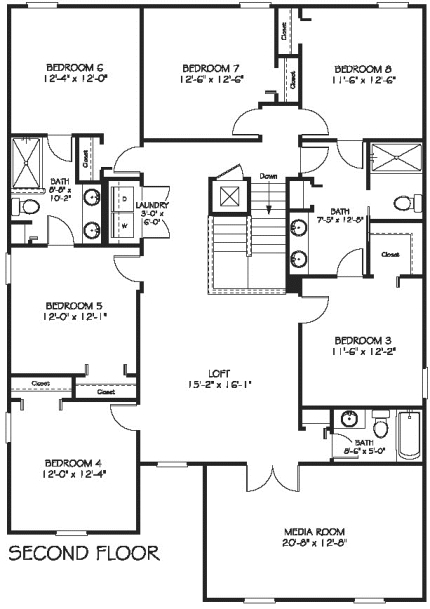 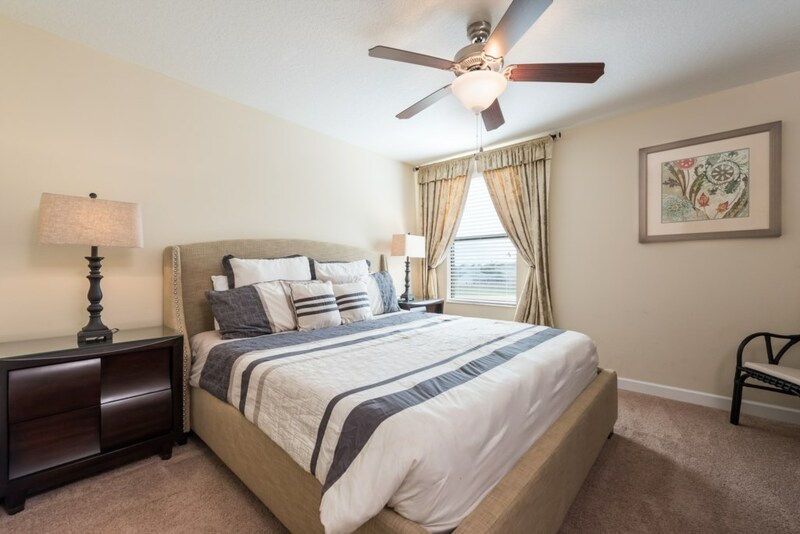 Also on the ground floor, to the front of the home, a beautifully styled King Size Master suite provides a bathroom with shower and twin vanity units. 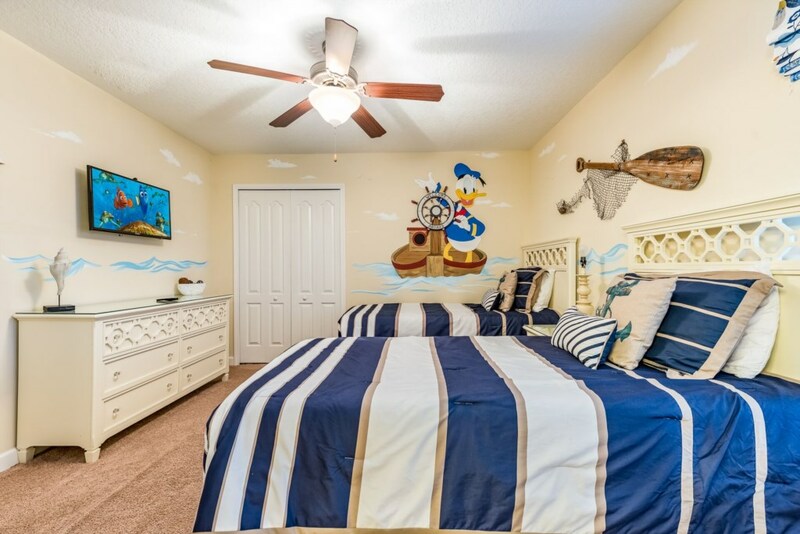 Perfect for adult guests. 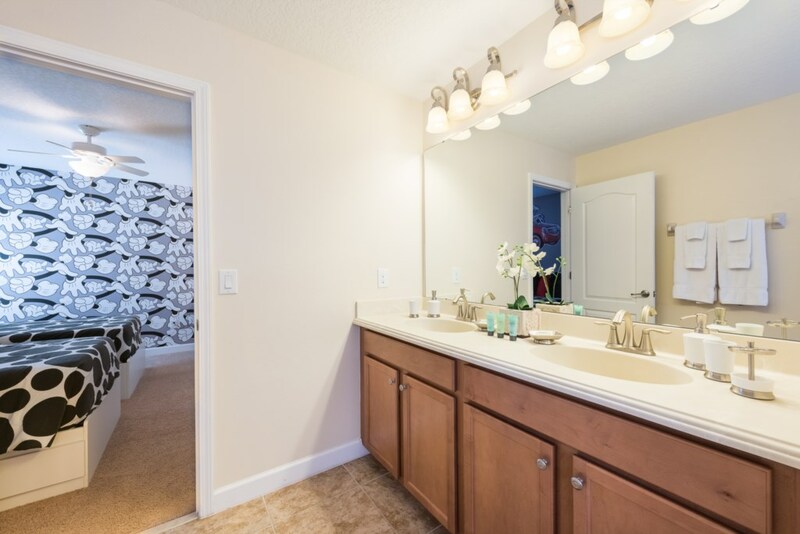 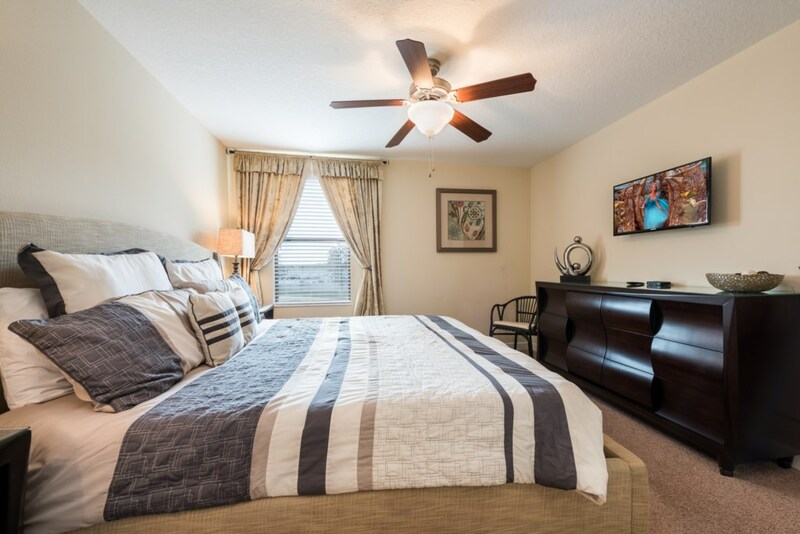 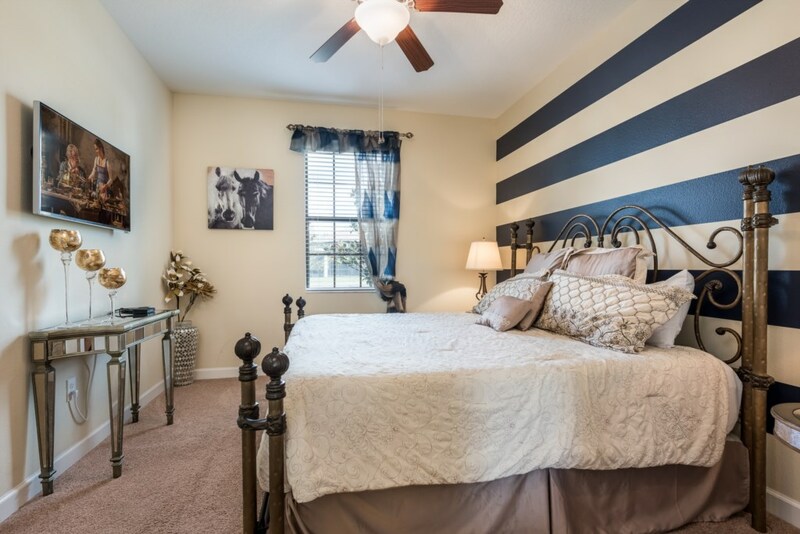 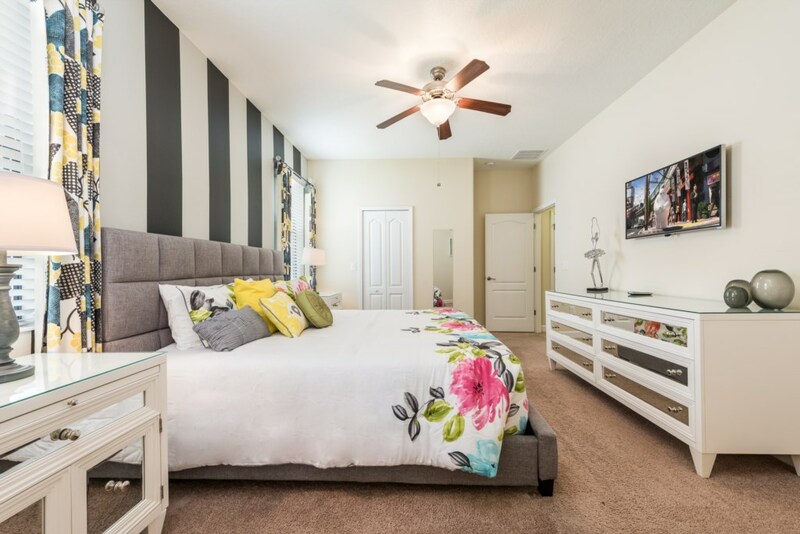 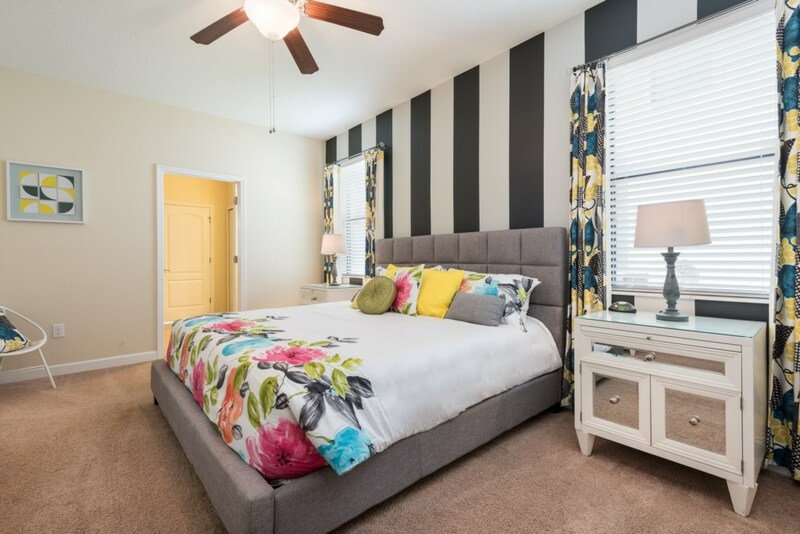 A beautifully finished king sized bedroom includes a walk through bathroom with shower and twin vanity units that adjoins a spacious room with two twin beds. 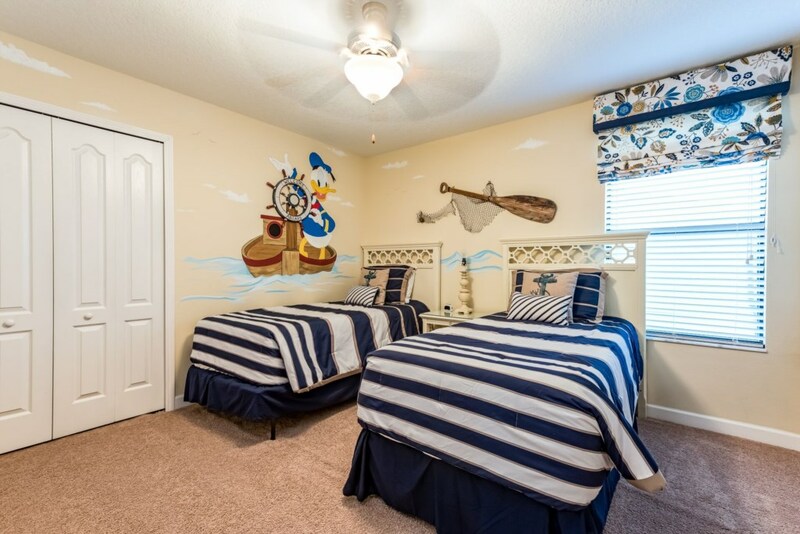 Also on this floor, a further luxurious room has two full sized beds, which is perfect for children or adults, and an additional room nearby includes a queen sized bed which is furnished and decorated to the highest of standards. 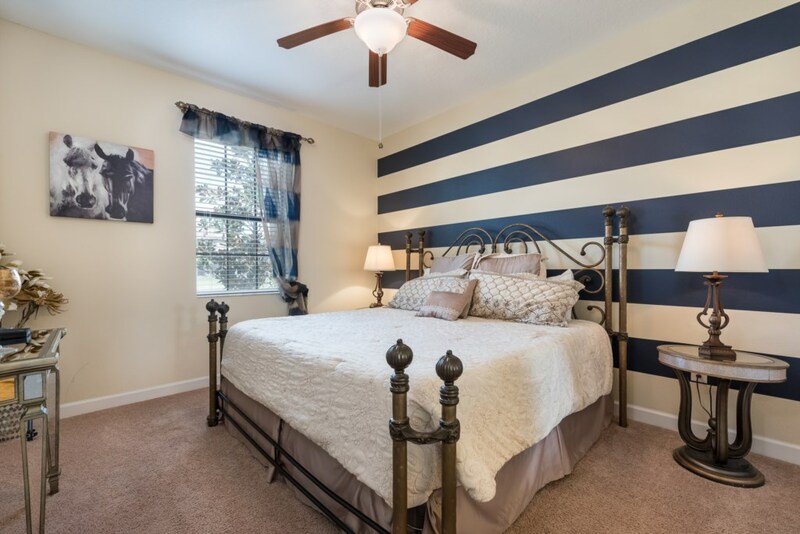 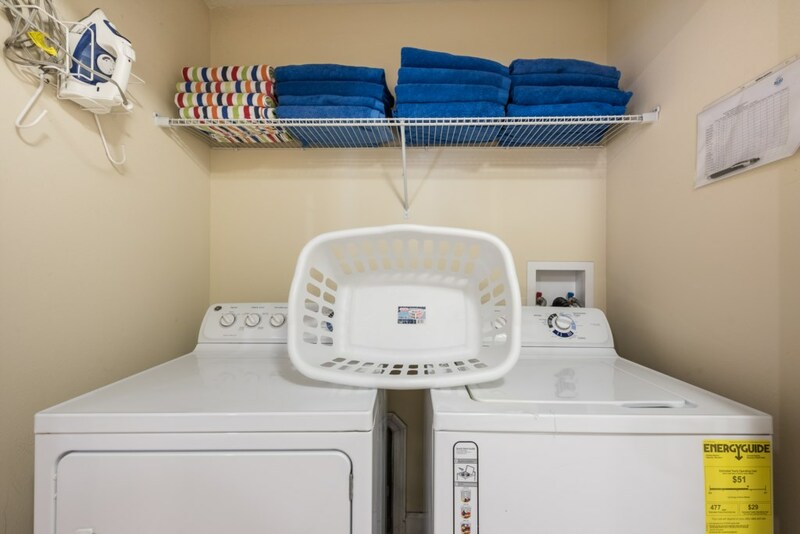 There's a further fabulous room with two twin sized beds and this is conveniently linked to a king sized bedroom by a walk though bathroom that includes a shower and twin vanity units. 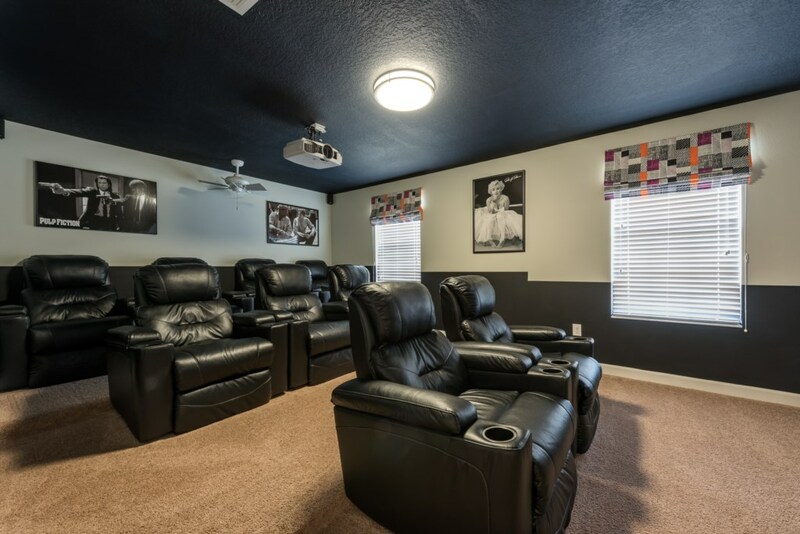 For entertainment and relaxation, a luxurious and comfortable upstairs loft area provides guests a second fabulous location for relaxation, with leather sectional seating PS4 and wall mounted TV. 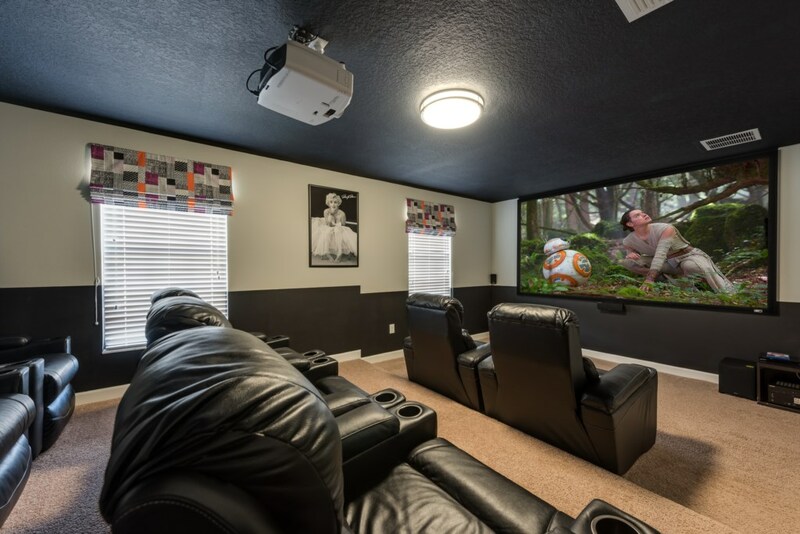 For movie fans, a 9 seat, tiered cinema room with reclining theatre chairs provides the perfect place to watch the latest releases or play back those magical Netflix moments from your dream vacation! 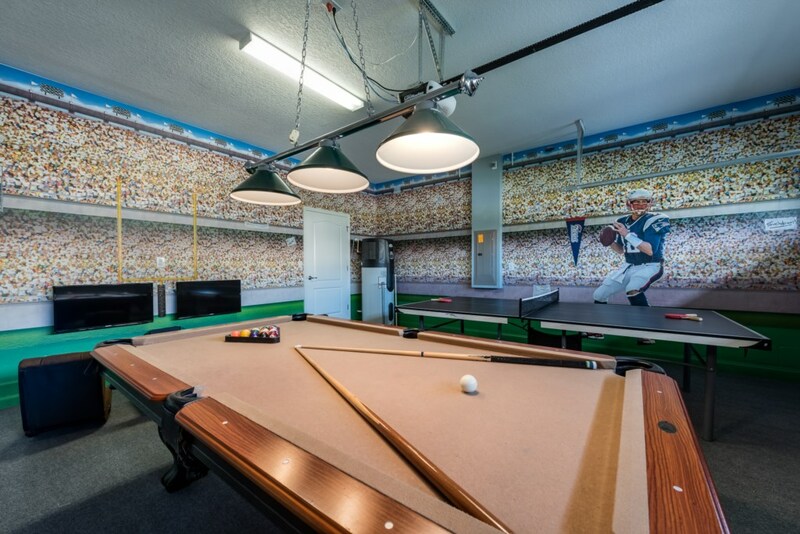 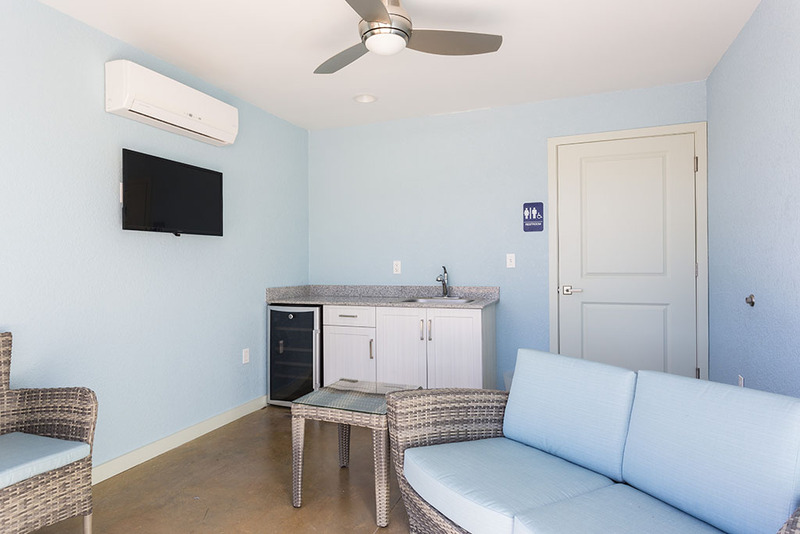 Competitive fans will love the pool table and table tennis table in the games room, but don't forget that stunning pool and spa for those fabulous and well deserved rest days in the Floridian warmth. 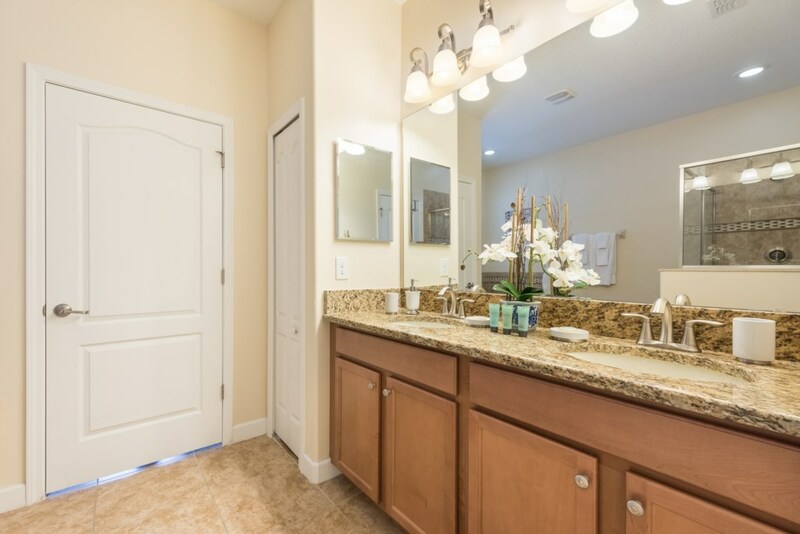 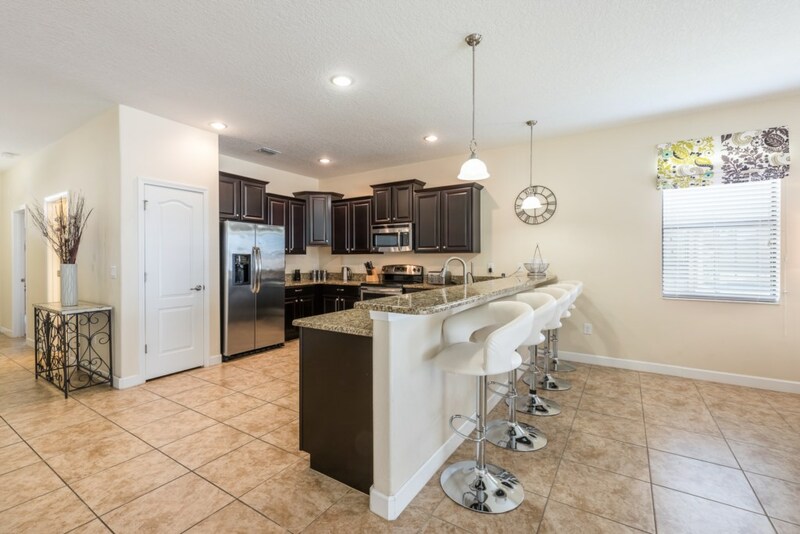 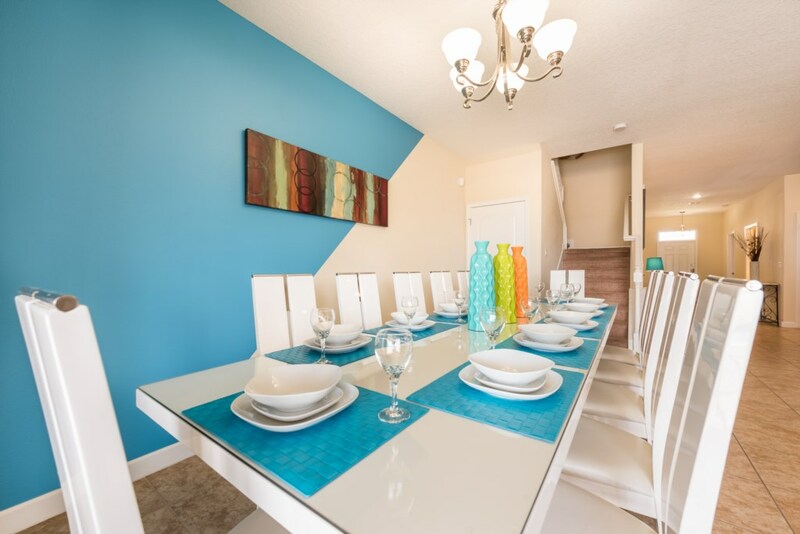 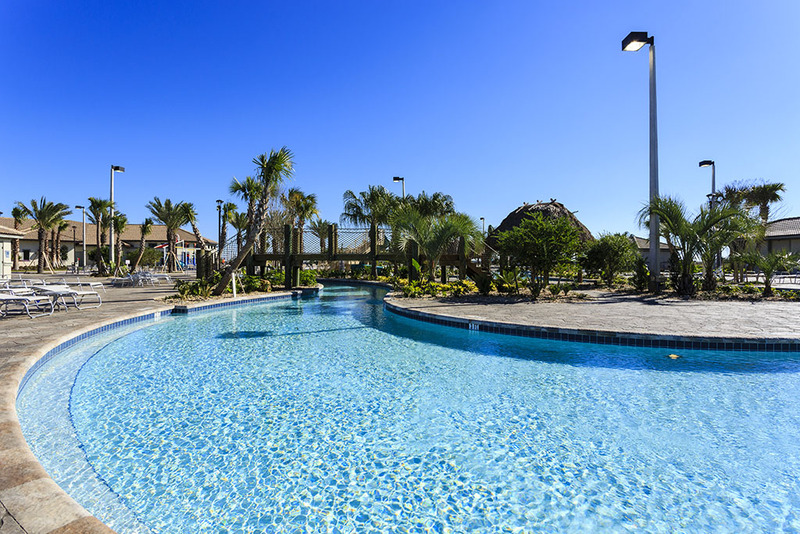 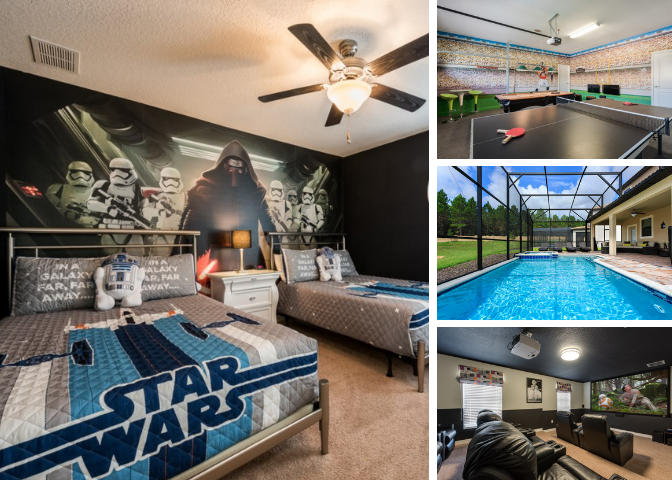 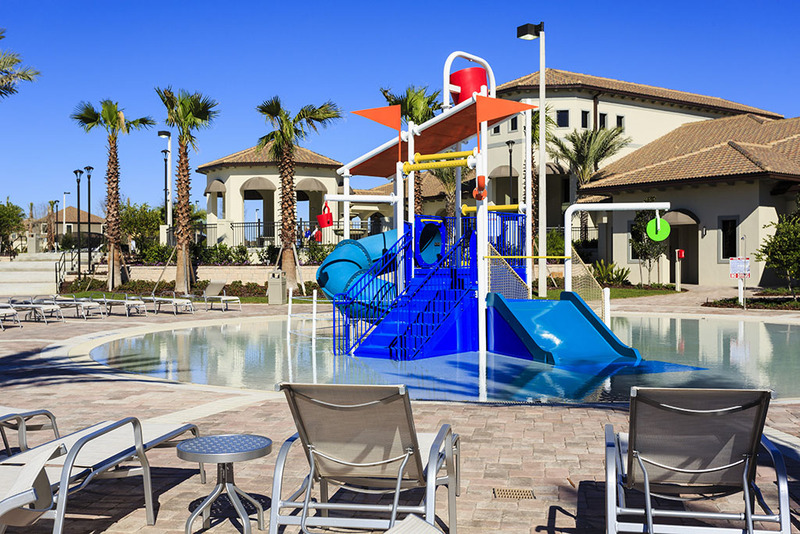 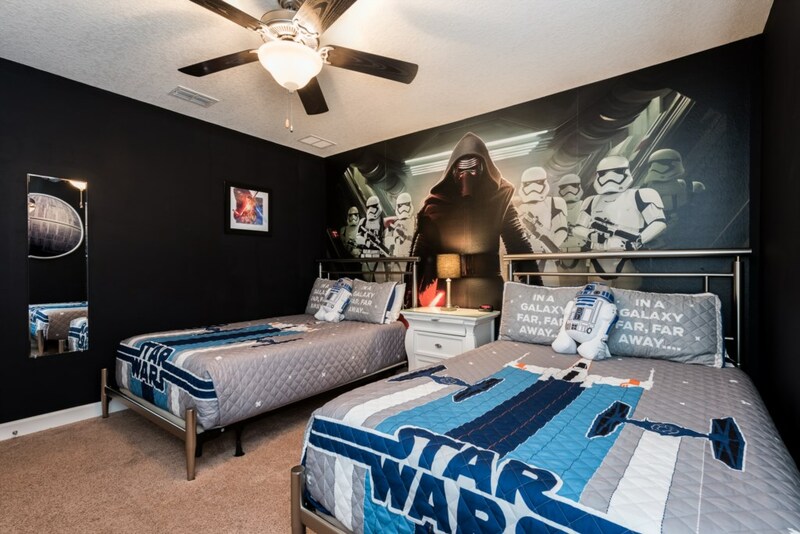 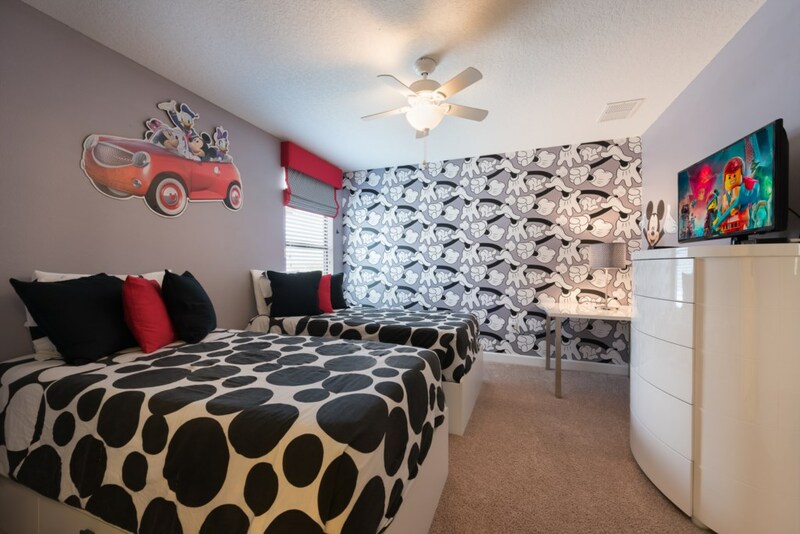 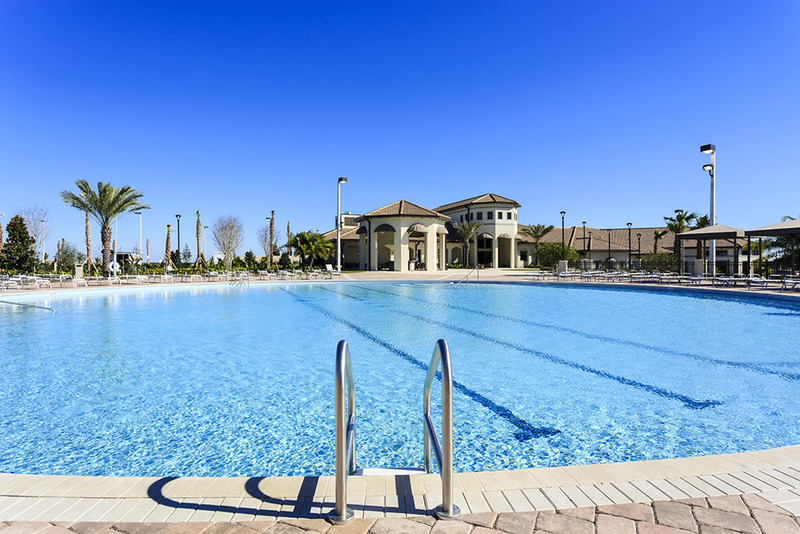 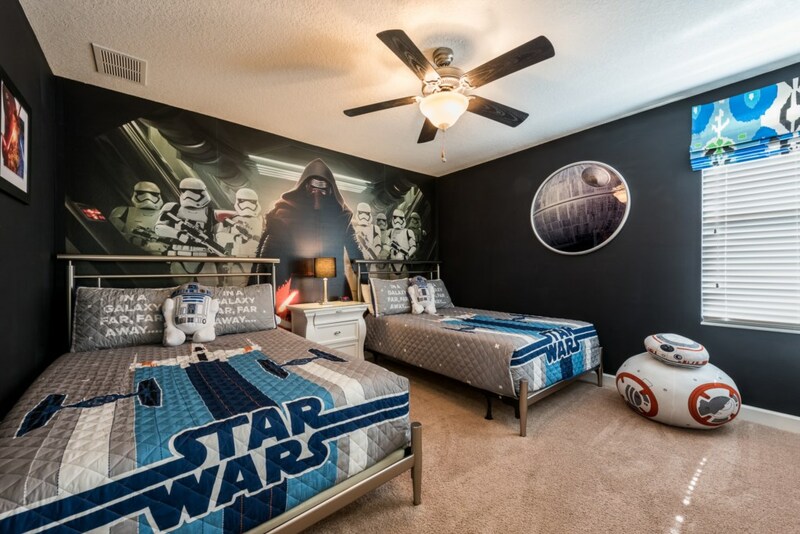 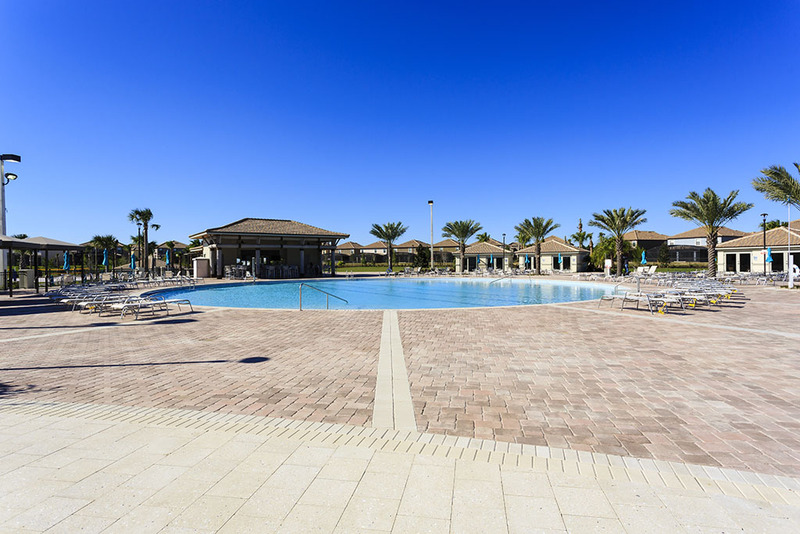 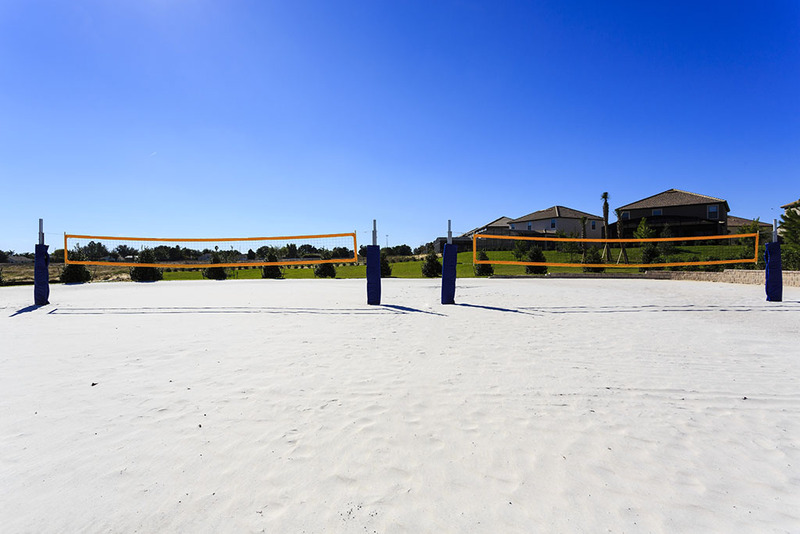 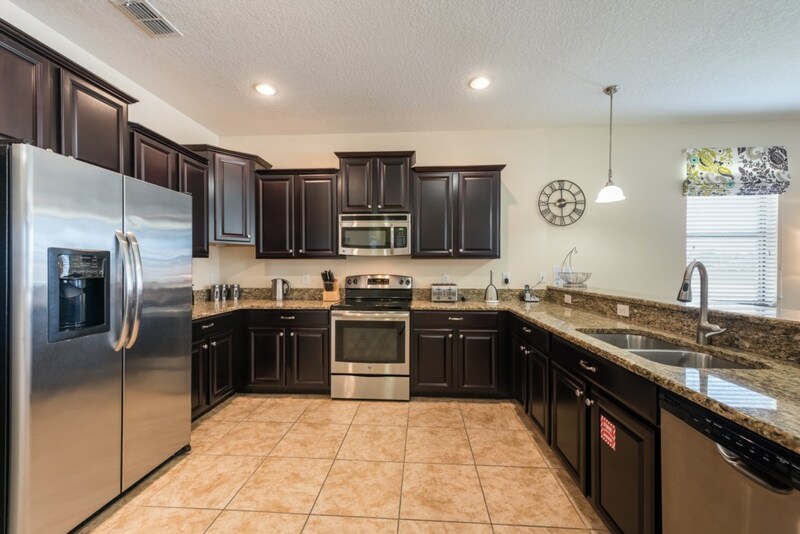 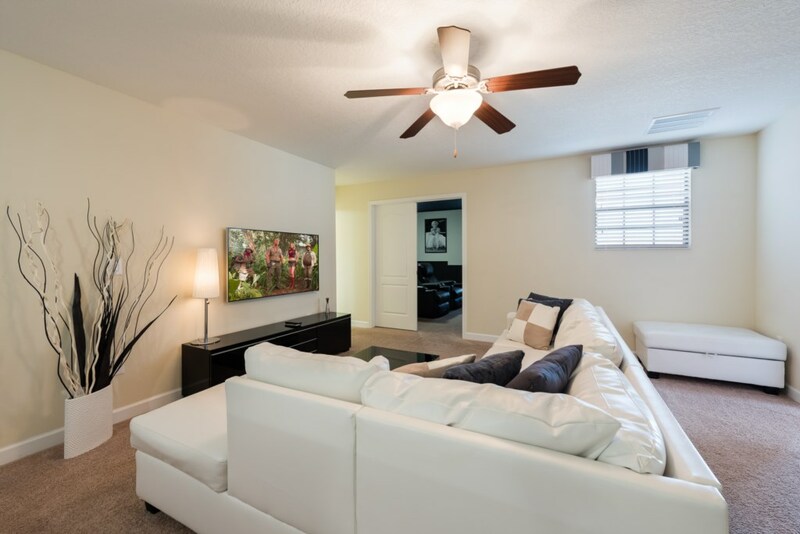 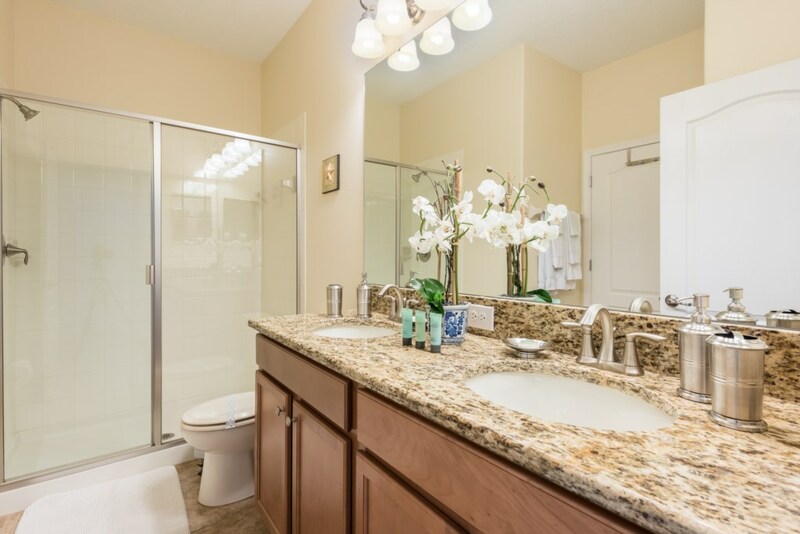 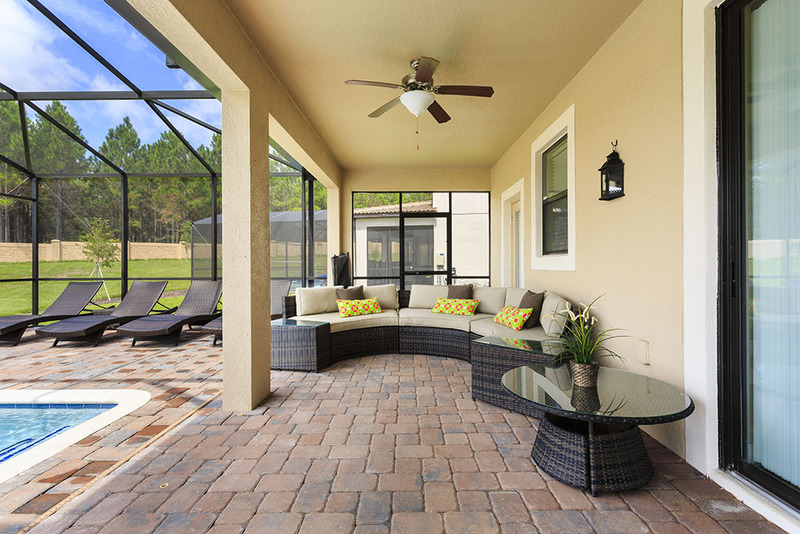 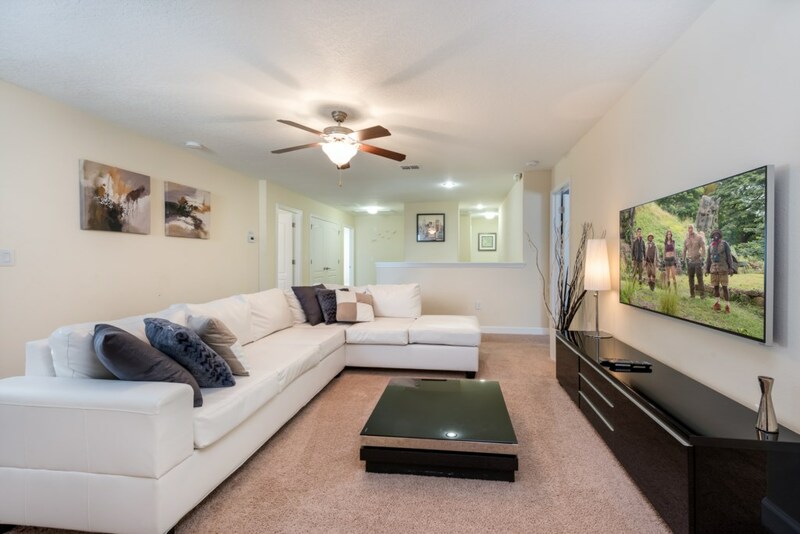 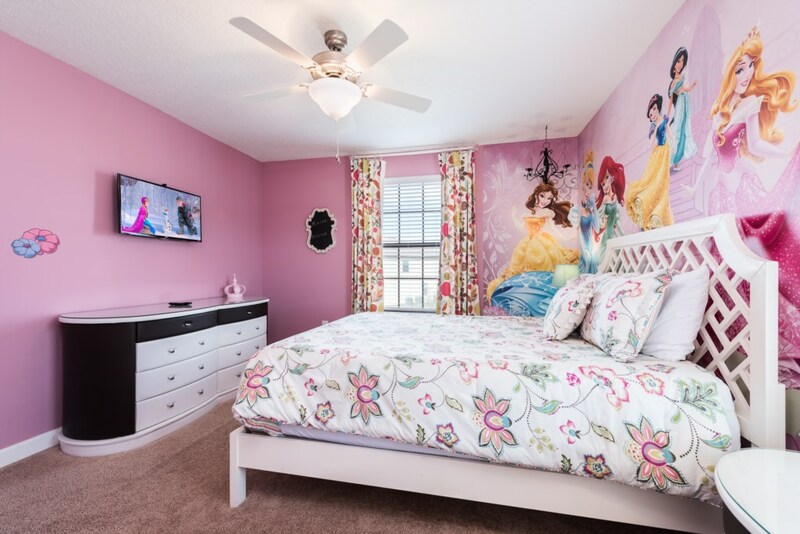 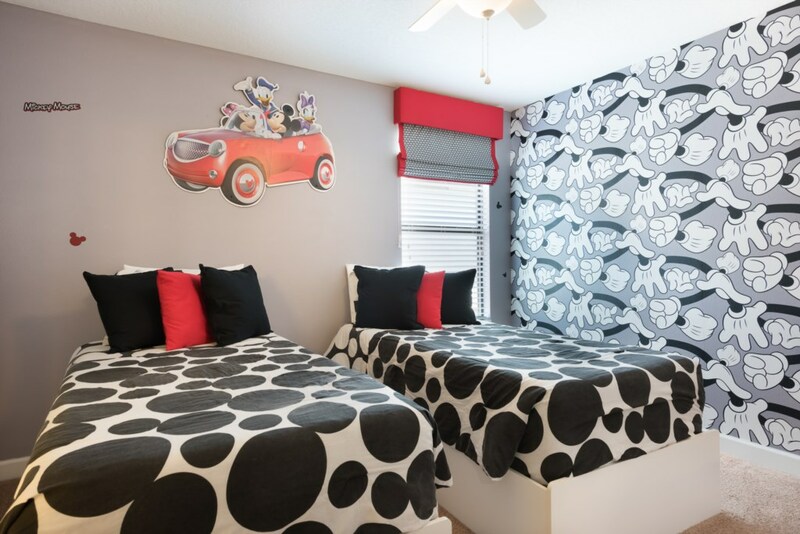 Whatever your needs when visiting Orlando next vacation, this stunning luxury vacation rental home, complete with luxury pool deck, home theatre and fully equipped games room is an ideal choice for fun loving vacationers! 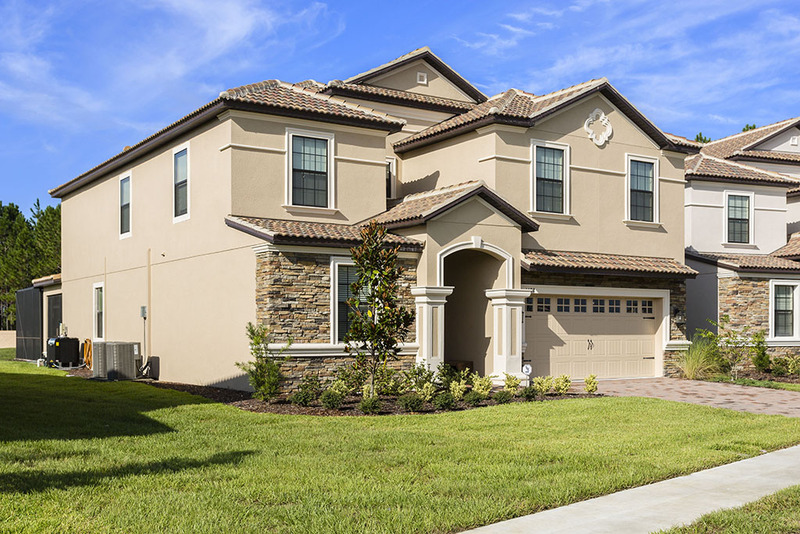 This stylish and spacious 8 bedroom luxury pool home is a perfect choice for guests looking to share their dream vacation with family and friends!